Stuck! same problem new day. This book was dissappointing with the narrator to the characters. The professional victim Carly, the dirty old lady taking advantage a bad situation who should be banned from the profession. I had hoped by now the main characters would grow a brain and give us a good story. 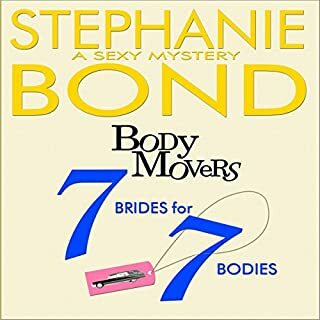 What was most disappointing about Stephanie Bond’s story? The characters are making the same mistakes over and over again. Wes is stuck in stupid and Carly plays the victim thinking she deserves whatever comes her way. She should move on to and live life. If you could play editor, what scene or scenes would you have cut from 7 Brides for 7 Bodies? This series could do without this book. Yes. I like the dialogue between Duffy and his creator. She also gives us a guick peek in to the world of the writer. Oh No!!! Is Miss Julia Slowing Down?!!! 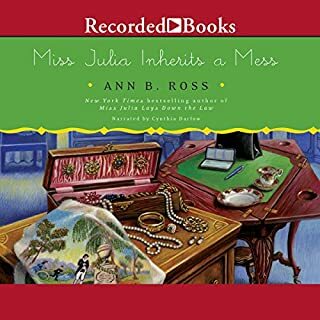 What would have made Miss Julia Inherits a Mess better? I did not realize how much Hazel Marie, Little Lloyd and Mr. Pickens added to Miss Julia's character. Without them, the book was a little flat and disappointing. Hopefully, they will make an appearance in later books. but i will wait until the books hit come out at my local library or make sure it on my list for Santa. What was most disappointing about Ann B. Ross’s story? I missed Hazel Marie and her brood of a family, especially Little Lloyd. What aspect of Cynthia Darlow’s performance would you have changed? Nothing at all. She is really good. What character would you cut from Miss Julia Inherits a Mess? That dang preacher and his crybaby wife! Miss Julia leave that church or start a campaign for another. That pastor couldn't lead a dog to a steak! He is just a beggar and a bully. Being a grim reaper isn't easy, but answering to family is even worse. Between argumentative souls, overbearing older brothers, and everyday nonsense, Aisling Grimlock has her hands full. When a run-of-the-mill job goes awry, Aisling finds herself in a mess. The soul she was supposed to collect is still amongst the living, and the man who wanted to kill him is dead instead. What disappointed you about Grim Offerings? The narrator most definitely. I wish it wasn't so obvious that she is reading and her transitions from character to Ainsline are rough. It sounds like a cold "read through" in both books. 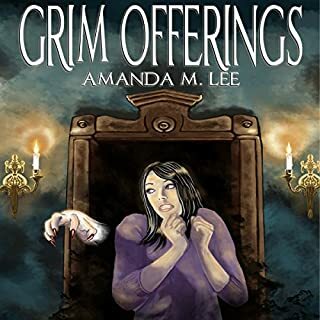 If you’ve listened to books by Amanda M. Lee before, how does this one compare? What didn’t you like about Karen Krause’s performance? Other narrators perform, Ms. Krause just reads, but I know it will get better the more practice she gets. What character would you cut from Grim Offerings? No one yet, I don't agree with mom coming back. I think the storyline will get to heavy. For most women, a twenty-ninth birthday might involve a day at the spa or dinner with friends. 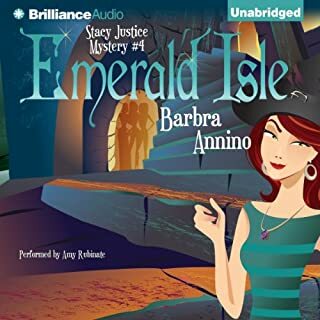 But Stacy Justice - budding reporter and reluctant witch - isn’t like most women. Stacy's grandmother, Birdie, insists an Irish secret society known as the council will soon grant Stacy the role of Seeker of Justice. But terrible news interrupts the birthday ritual: the magic cauldron that supplies the world’s food has vanished. The council decrees that if Stacy finds the cauldron, she’ll be appointed Seeker and her imprisoned mother will be freed. 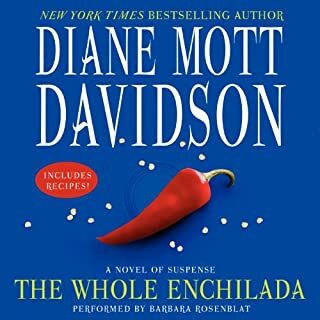 I have loved the series, but this book was a big disappointment. Just did not measure up to the books that have come before; or, she just put a book out for the sake of having a book out fill the slot. It could have been a novella. I hope the rest of the other books measure up to. . YUCK!!!! 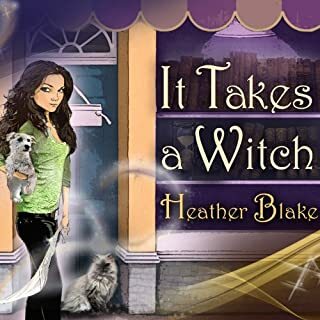 Narrator or author? IDK! 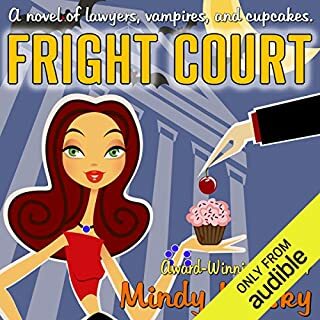 I am all for a good vampire story, but the voice and accent of the narrator is totally awful. Also, some of the wrong pronunciations of the simplest words are just sad. Slow start, I was very happy to get to the end. 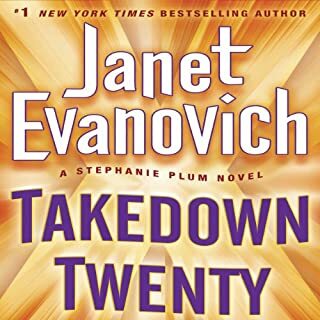 Stephanie Plum is back in all-new adventure from #1 bestselling author Janet Evanovich. 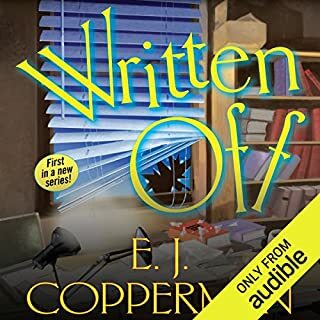 Loralei King is a great narrator as usual, but the Stephanie Plum theme is just played out. I even tried to give it a second listen but just found it annoying. Sorry. I feel that Ms. Armstrong just phoned this one in. I agree with other reviews. this was a real let-down, but she is still one of my favorite authors.